There are no photos with those IDs or post 24580 does not have any attached images! 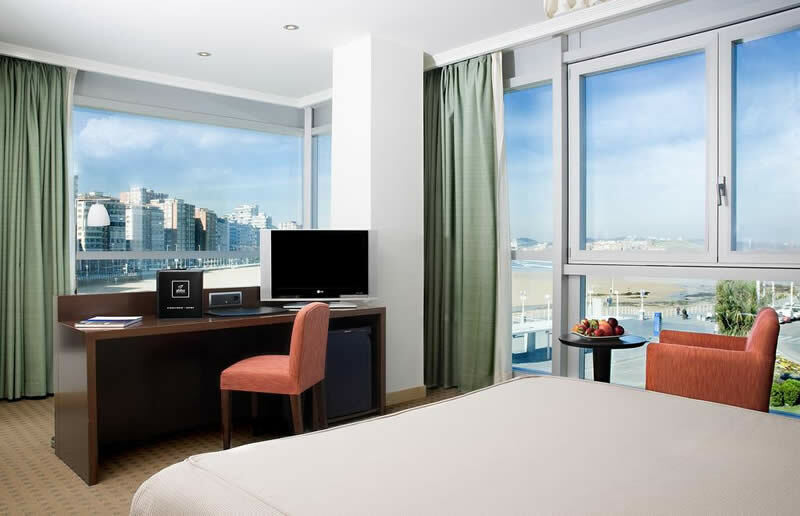 The Abba Playa Gijón is located inn first line of the beach, with spectacular views of San Lorenzo beach. Our location is strategic to easily access the main areas of the city, such as the Palacio de Congresos, the Fairground and the El Molinón Soccer Stadium as well as the Historic District of Cimadevilla. From the terrace abba The Roof Terrace , open in summer season you can contemplate the view of the most stunning beach in the city. We offer 80 rooms, decorated with a modern and innovative style, a large garden area, Bar Cafeteria with terrace service all year, Amalur Restaurant where you can get to know the gastronomy of Gijón, Gym, Sauna, Jacuzzi, Turkish Bath y Garage. When talking about green spaces in the city of Gijón, we must mention the Atalaya Park in Cimadevilla.